Tonight Chris was heading to a friend’s house to watch the Bachelor. 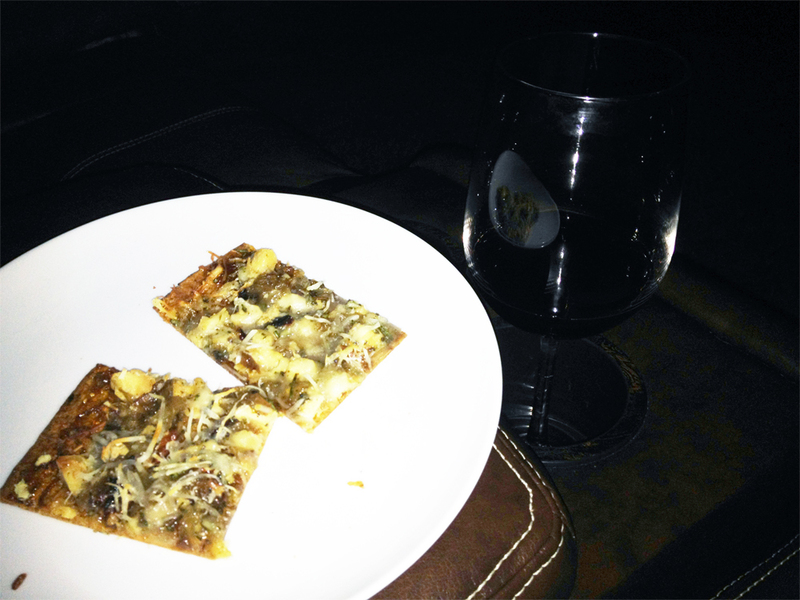 She decided to make her homemade flat-out pizzas, which is one of my favorites! Fortunately, she left some behind for my dinner. 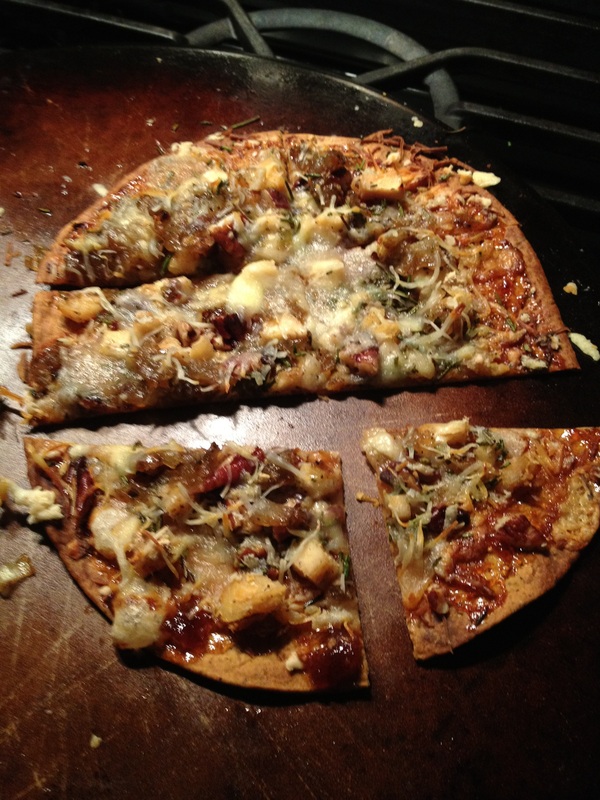 Tonight, she decided to make a Chicken pizza with a Fig sauce. She included caramelized onions and garlic, toasted Pecans and three types of cheese (Gruyere, Mozzarella, and St. Andre) and topped it with some fresh Rosemary we brought home from our last Napa trip. 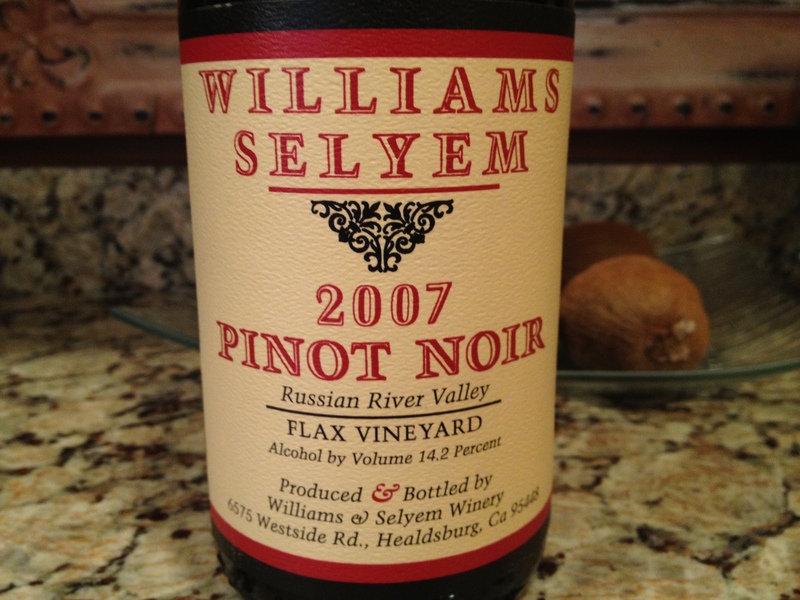 I had a glass left over from last nights bottle of William Selyem 2007 Russian River Valley Flax Vineyard Pinot Noir. I was looking forward to some alone time and watching one of my shows seaQuest DSV (Yes I am a SiFi Geek too) on Netflix from my Tivo. While drinking the wine I could taste Caramel, Red Cherry, and a hint of Vanilla. The nose was a nice fruity smell. This is a really good Pinot and I was happy! After my first bite, I had to text Chris right away! I understand that Chris intends to posts the recipe on her blog. When she does I will update mine with a link to her recipe! It is very tasty and quite easy to assemble. No fancy words or Rhetoric with this posting. I was at a loss for words, humming and I was sad I only had one glass of wine. Stumbled on your web blog through Stumbleupon. You already know I will be subscribing to your feed.